The City of Whitehorse capital budget passed second and third reading on Dec. 10, but not without lengthy discussion. Each member of council weighed in on the budget, which was announced Nov. 13. At the time, Valerie Braga, director of corporate services for the city, said the focus of the $29-million budget was on renewal. Plans include fleet replacement, street reconstruction, and infrastructure upgrades. Coun. Samson Hartland kicked off a 40-minute discussion of the budget by saying he supported it, but, he noted, it will be difficult for him to support future capital budgets without a completed asset management plan in place. Such a plan is used to manage a city’s infrastructure assets. One is currently funded in the budget, which covers the years 2019 to 2022, at $100,000 per year. “As an elected official I’d appreciate knowing that when I raise my hand in the air to support the capital budget, I know the information that we’re basing the decision on is the best that we can obtain, but also strategically takes into account all of our needs weighted against our current future liabilities,” said Hartland. Coun. Dan Boyd agreed. He said it had crossed his mind to say no to any more large capital projects until an asset management plan is complete. However, he said, that’s not realistic (a new fire hall is the biggest item in the budget). Instead, he said he would like to see greater efficiency within firesmarting. Coun. Jan Stick also touched on that point. She said that, in speaking with residents, the refrain that she hears is that residents don’t know what to do in the event of a massive wildfire. If there is a plan in place, they say they’d like to hear it. Communication on this point is lacking, said Stick. Considering recent devastating fires in California and Fort McMurray, and the current low levels of snowpack in Whitehorse, she thinks the city needs to inform residents of plans around wildfire preparedness. Coun. Laura Cabott also brought up the issue of wildlife/human conflict, saying there’s a lack of suitable bear-resistant garbage bins in the city, something WildWise Yukon spoke about to council multiple times in 2018. Cabott said she’d like to see a plan that focuses on decreasing instances of wildlife and human interaction, by working with the Yukon government, but also by, for example, establishing robust bylaws around issues such as garbage collection. Coun. Steve Roddick agreed that there could be more done in the areas of wildlife and human conflict. He went on to say he had looked at the budget with three questions in mind — does spending meet the needs of residents and advance their interests; does the spending get the best value for the money; will this serve the city in the long-term? He said he was happy with the city’s commitment to transit improvements including digital fare payment and real-time transit data, but there are other areas that concern him. “I’m generally concerned about our long-term planning and if the choices we’re making today are really in our long-term interests,” he said. Roddick said the current budget aims to maintain systems in the city, but he wants to pay closer attention to making investments in systems that will allow the city to take advantage of those systems as things change. Mayor Dan Curtis recognized that the budget is difficult to deal with. It’s not perfect, he said (he’d like to see it 10 times bigger), and it’s a daunting task to balance the needs of 30,000 people. “Being on council is challenging, it’s difficult, it’s hard, it’s a learning curve, and it never gets easier,” said Curtis. “The longer you’re here, it seems, the more you recognize the less you know. 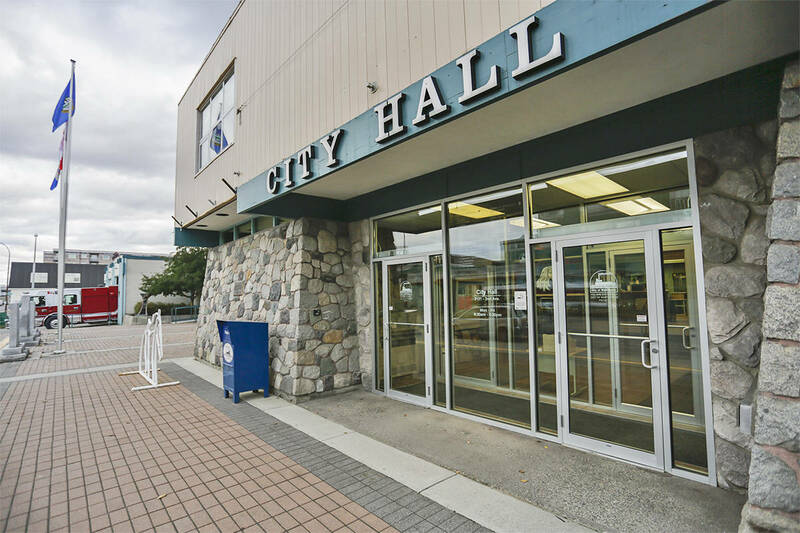 Whitehorse operating budget proposes a property tax hike of 2.3 per cent.